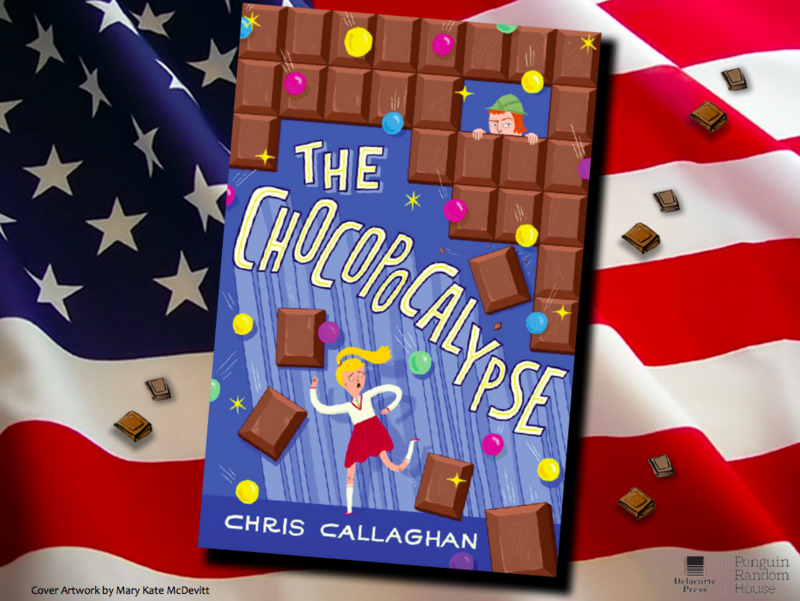 Home » News and Stuff » Uncategorized » WARNING: The Chocopocalypse has arrived in the US! WARNING: The Chocopocalypse has arrived in the US! Yes, The Chocopocalypse has arrived in the US! I am so unbelievably grateful to Chicken House UK and Barry Cunningham for starting this amazing part of my life and to Elinor Bagenal and Allison Hellegers for getting my story to the US. Since my first contact with the lovely people at PRH, and in particular the wonderful Monica Jean, me and all my characters have been made to feel so welcome. We love our new cover created by the super talented Mary Kate McDevitt and are delighted the fantastic internal illustrations by Lalalimola have been kept in place. I know Jelly and her family are in very good hands and I wish them well in their American adventures and I hope all the new readers will be kind and gentle with them. Which I’m sure they will. I wonder if one day, I’ll believe all this actually happened?